Colorado Springs (population 380,000) is an extremely popular biking community due to spectacular scenery, abundant sunshine. It does tend to have conservative values. Originally built as a resort city, the town owes part of its growth and history to a huge gold strike nearby. Colorado Springs looks up at Pikes Peak, which towers over the city at 14,115 feet. 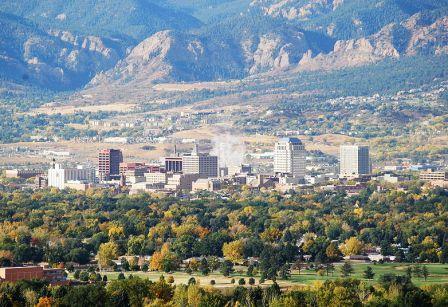 The United States Air Force Academy, NORAD, Fort Carson are among the military bases also located in the area. Several evangelical organizations have their headquarters here. The Colorado Springs downtown area provides extensive shopping. Many malls are also located in the area. Many modern amenities such as open-areas, bike trails, parks, and cultural activities are among the reasons why the city was named in 2006 as the best large city to live in by Money Magazine. The city is the 2nd largest city in Colorado. There are plenty of different types of housing available. Some of the nicest are the restored Victorian homes along Nevada Avenue. There are other old neighborhoods close in to town. Many offer views of snow-topped Pikes Peak or other mountains. The Broadmoor Hotel resort area is one of the most exclusive places to live in the city. Old Colorado City and Manitou Springs offer a flavor of the old west and some more interesting housing alternatives. According to the National Association of Realtors, the median selling price of a single family home in the 4th Quarter of 2018 was $307,000,which is much lower than the median price in Boulder which is listed at $592,300 during the same quarter. Larger homes in desirable areas can go for much more. Lively downtown with broad streets and excellent shopping; The Antlers Hotel; The Cog Railway goes to the top of Pikes Peak; The sun shines 75% of days; 17,000 square foot Colorado Springs Senior Center; Pikes Peak; Cheyenne Mountain Zoo; Pike National Forest and Garden of the Gods; City is very walkable. The USAF Academy is a proud part of the city. It is crowded in the summer time; property crimes are above the national average; traffic along I-25 can be very heavy; runaway growth is a problem. The area experiences a 4 season climate. Summers tend to be cool, thanks to its altitude of 6000 feet. That same elevation provides a number of snowy blizzards, although the snow tends to melt quickly as blue skies reappear. Average July high is 84 and average January low is 14. Musical events are plentiful in the area, either at the Pikes Peak Center, the Colorado Springs Symphony Orchestra, or the free concerts offered by the U.S. Air Force Academy Band. Other cultural institutions include the Colorado Opera Festival, the Colorado Dance Theatre, the Broadmoor Hotel, and the Colorado Springs Fine Arts Center. Colorado College and a small University of Colorado campus provide additional cultural opportunities. Crime in Colorado Springs is slightly above the national average. 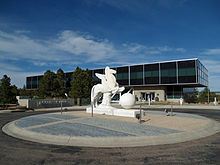 Colorado Springs Municipal Airport . Colorado Springs is a very walkable town.